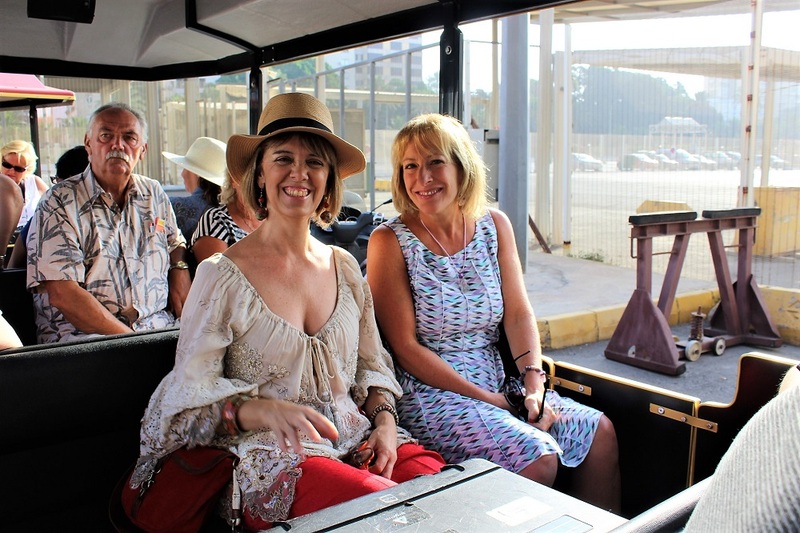 One of the ports on the itinerary for my 11-night Mediterranean cruise on Holland America Line’s Oosterdam was Ceuta, Spain. I have to admit that I never heard of this city so I did spend a bit of time reading about it before we arrived. Located on the North Coast of Africa between the Mediterranean Sea and Atlantic Ocean, this tiny 7 square mile peninsula was captured by the Portuguese in 1415 and ceded to Spain in 1668. It shares its Western border with Morocco and has been a fortified strategic location since ancient times. We arrived on a gorgeous and hot day and the tiny city sparkled. I met Antonia (Toni) from the local tourist board who told me she was chosen to help since she’s pretty much the only one that speaks English in her office 😊. She was excited to take part in our filming and had some tasty spots planned out. But first, we drove up the hillside to Monte Hacho, from where you could see views of Spain as well as Morocco. On a clearer day we could have seen the Straits of Gibraltar too! We drove back into the old town and had a walk through the Central Market normally filled with stall after stall of interesting fish and seafood. But, it was Ramadan and since there are many Muslims in Ceuta, most of the stalls were closed. We did manage to find a few to taste and review, however, and the hospitality displayed was exceptional. However, the non-Muslims were still hungry and at Café La Perla devouring churros and tostadas. I tried both, as well as a thin grilled bread topped with a tomato paste spread. Before our next eating destination, Tony wanted me to see one of the symbols of the modern side of Ceuta at the Parque Maritimo del Mediterraneo. This is a place with gardens, palm trees, swimming pools and is an oasis for people to come to relax. I was so tempted to dive in to the incredibly inviting looking swimming pool but, oh well, not enough time (and no bathing suit either). From there it was tapas time, and Tony brought me to a very modern and exciting gastro bar called El Albedrio. Here, the different tapas are laid out on display so that one could easily point and choose. Tony and I shared a few specialties as well as a glass of local white wine. We walked down the street to Taberna La Trastienda, a much more traditional establishment with an outside seating area along with the small bar inside. The place was packed, but they made room for us to try one of their recommended fish specialties. As it was time to leave, the owner came by and I was able to thank him for his hospitality. As we drove back to the ship passing the many interesting buildings and monuments of the old town mixed with the beautiful beaches and parks of the more modern side of the city, I couldn’t help but wonder why this is not more of a tourist destination. I have been to the Andalucia region of Spain before but never to the historic city of Almeria. This is the next stop on the MS Oosterdam and where I have around 6 hours to find out why it’s becoming such a popular holiday destination. After disembarking the ship, I meet with my guide for the day, Virginia Maria Chocarro Cervino (she tells me to call her Maria). She first wants me to experience a typical breakfast in Almeria and so we head into town and the Central Market area for some churros and chocolate at Bar Barea. If you don’t know what a churro is, it’s a fried doughy pastry type that here is served round and spiral-shaped. The idea is to dip it into the hot chocolate and eat it. It’s decadent and delicious and I could only have a bite or two before surrendering to my crew to finish. We then made our way into the central market full of interesting fish and seafood dishes. You can pick out a fish and the market person will filet, debone, slice or whatever you want them to do for no extra cost. 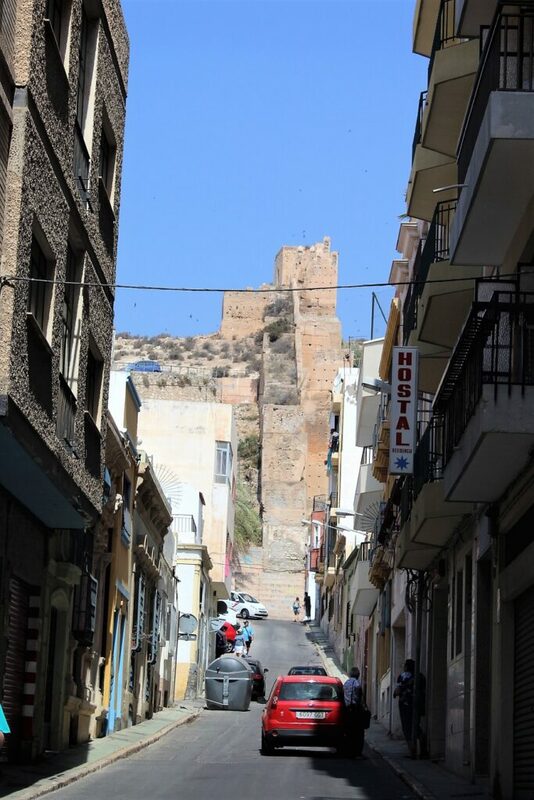 One of the most important sites in Almeria is the Alcazaba Fortress, built by the Caliph of Cordoba around 955 AD when the area was ruled by Muslims. Three walled areas make up the fortress. The first was for living quarters that is now gardens and pools. The 2nd was for the king’s residence and the 3rd was added by the Christians when the Catholics occupied the area. It was worth the big climb up for the magnificent views of all the city and the port below. Maria then arranged for me to meet with Chef Jose Torrente of Restaurant Catedral where he has prepared an outdoor cooking demonstration. Located in the historic center at Catedral Square, it was quite something to be standing out on the beautiful patio with the cathedral’s tower looming over us as he made his special cold tomato soup called Salmorejo. Different than gazpacho, this soup is made with tomatoes, red pepper, garlic, bread, olive oil, vinegar, salt and ham with chopped egg for garnish. It’s creamy and cooling on a hot July day. 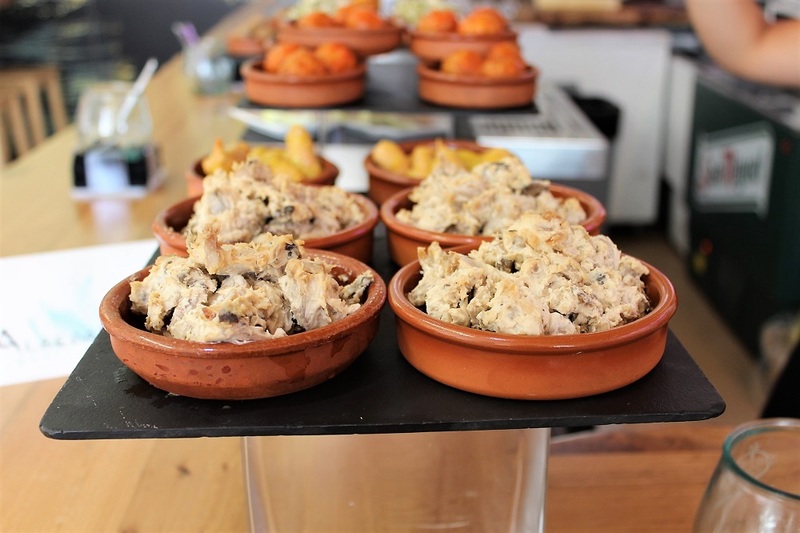 He then prepared one of his favorite tapas with a local St. Peter fish fried in a thin pasty and served with a garlicky white sauce and tomato jam. We all got to have some as well as a thirst-quenching glass of white wine from the winery of Cristina Calvache. 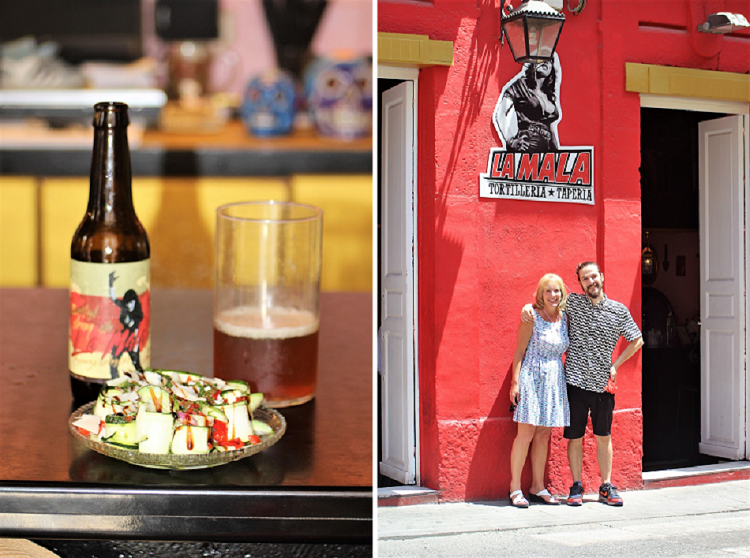 We continue our eating journey with a walk through the narrow, twisty streets to La Mala Bar, a super busy, funky looking little place where Maria says the tapas are incredible. Owner Pablo Asensio is there to assure we get the best and we manage to squeeze ourselves in to get a nice cold beer while we wait for the dishes to come out. He keeps bringing dish after dish, from seafood to meat and finally a very special dish, a truffle omelette that is a larger plate than the normal tapas. This is a raciones, a plate you share and pay for in Spain, whereas tapas are generally free and are small plates served along with your drink. From here Maria wanted me to see the Moorish influence in Almeria so we went to Aljaima Restaurant for some traditional Moroccan/Spanish food. While we started out with just a plate of pastries and teas, owner Mustafa Fazouli was kind enough to bring out their award winning couscous dish as well as some local red wine. What was meant to be a dessert stop turned into yet another feast (lucky me and crew!). As if the day wasn’t complete enough, outside the restaurant was a 1966 convertible jaguar to take me back to the ship, dropping me at the dock in style!